How satisfying is this image? 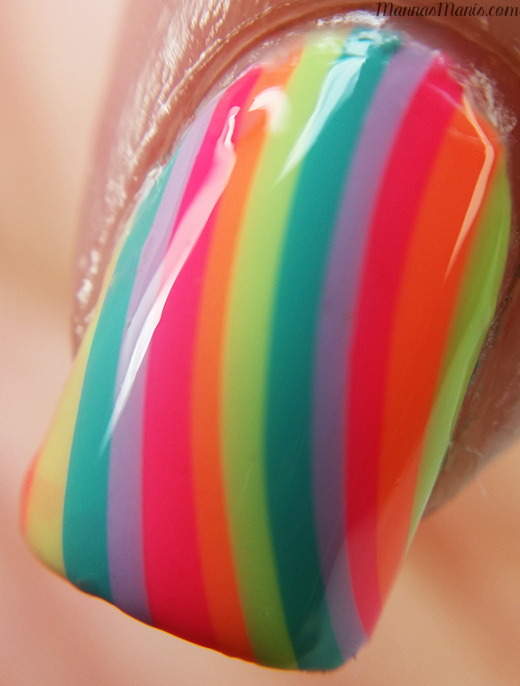 Anyone that has done a watermarble knows one of the hardest parts is getting your polish to spread perfectly. Check out my final results! If you remember my Zoya Delight dry watermarble you'll remember I said I'd never ever be dipping my fingers into water again, and I haven't. Dry watermarbling is soo much easier!! Here's a pic of the decals once I pull them out of the cup, typically I cut them into 4 different pieces. All of the Bonita's used were purchased at Big Lots 2 for $1! They're mini sized bottles, and they worked beautifully for watermarbling. I was surprised! I didn't wanna go the "flower pattern" route this time, I tried something a little different. 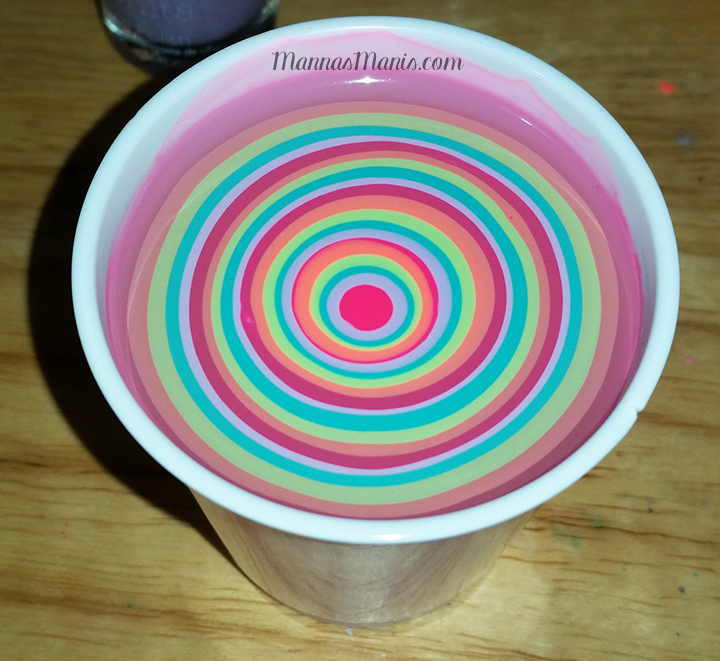 Use a small cup, dixie cups work perfect. Use a toothpick or something similar to make the design. Start making your pattern on the second or third ring. 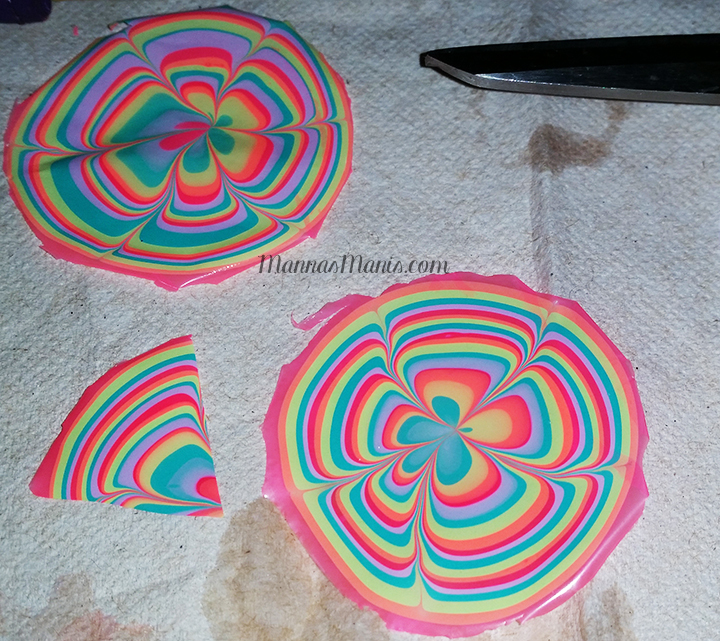 When dry watermarbling, let it dry for at LEAST 2 hours. I use a toothpick to lift the image out, and then place on a paper towel to get off excess water. For a full tutorial check out Alps nail art and Betty's Beauty Bombs! 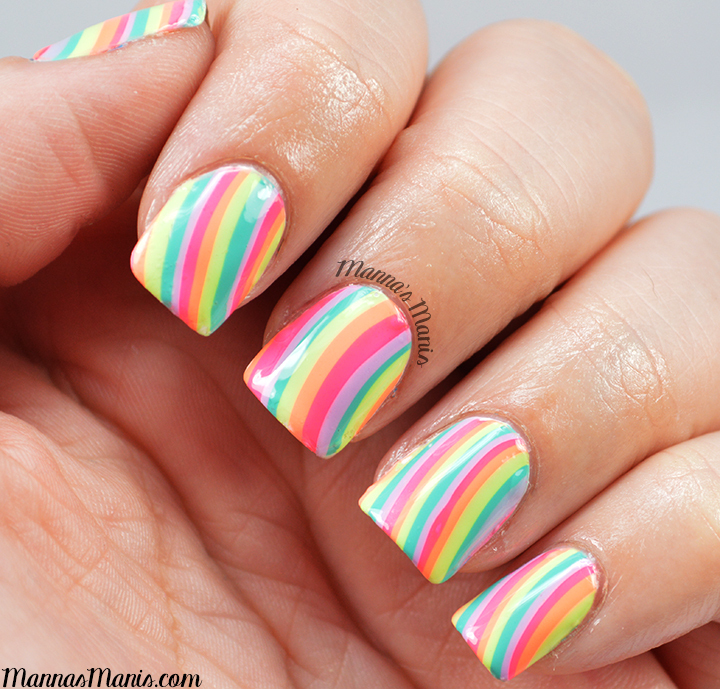 Do you like watermarbling, or is it something you avoid?